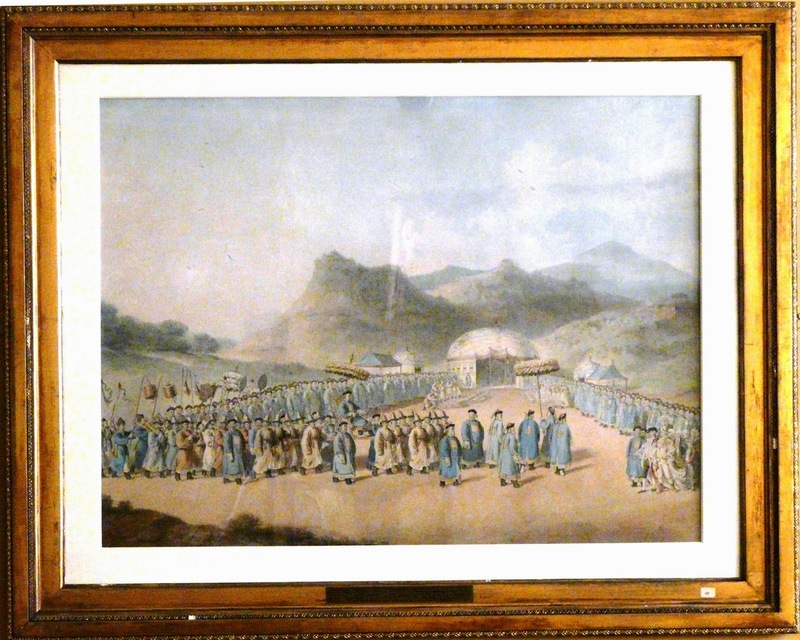 The Approach of the Emperor of China to his Tent in Tartary to receive the British Ambassador, William Alexander, 1799 . On 13th November a panel appointed by the Royal Asiatic Society’s Publications Committee decided that the Barwis Holliday Award for an article on an East Asian topic should be given to Dr George Mak for his article ‘Without Note or Comment’ Principle in Late Qing China’. Judges made the following comments about Dr Mak’s paper, “It is meticulously researched, based on interesting and relevant sources and written from both a Chinese and a Western-Protestant angle”,“This article will not only be interesting to historians but also to many people who pay attention to the status of Christian communities in China today”, “(this article) throws light on a key aspect of religio-cultural interaction in 19thcentury China. It displays confident use of archival sources”, “Mak’s paper, in addition to philological acumen, has an archival ‘capture’ that seems outstanding”. The Staunton Prize, which the Society awards to an article by an early career scholar, is to be awarded to Fozia Bora for her article ‘Did Salah-al-Din destroy the Fatimid’s Books?’ Judges made the following comments about Dr Bora’s article, “this is a remarkable piece of scholarship for a young scholar. However, not only is the scholarship remarkable, it also makes an argument which will have to be noted in the field”, “Bora is a master of the sources and makes a very strong case for her argument”, “First class and promises to make a significant contribution to existing debates by challenging accepted understanding about historical developments”. The deadline for submissions for the Boyce Prize is 31st December, 2014. This will be awarded to the author of a previously unpublished article on a topic related to Asian religion.